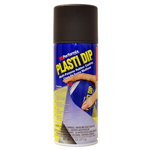 Plasti Dip Flexible Rubber Coating. Convenient spray for those hard to reach places. Silver and Gold Metalizer - Gives a Silver or Gold Metallic satin/gloss finish to your matt Plasti Dip and allows the base colour to show through. Red, Green, Blue and Violet Metalizer - Gives a Red, Green, Blue or Violet metallic finish and allows the base colour to show through. A different base colour will give a different finished colour. 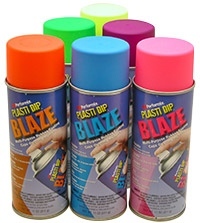 Pearlizer - gives a pearlescent finish but allows the base colour to show through. With all top coats a different base colour will give a different finished colour. A different base colour will give a different finished colour.